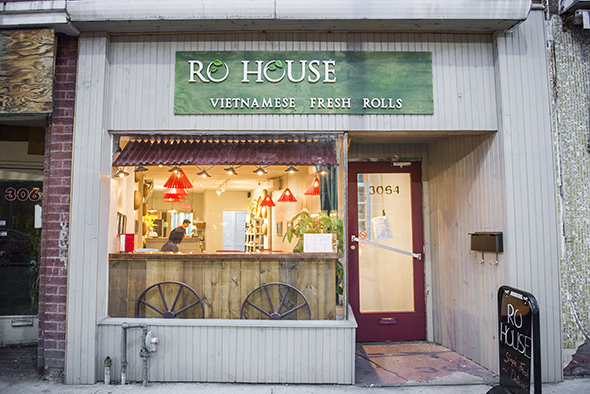 Ro House is a charming spot in the Junction that specializes in Vietnamese street eats, as indicated by the re-creation of a simple vendor cart in its front window. 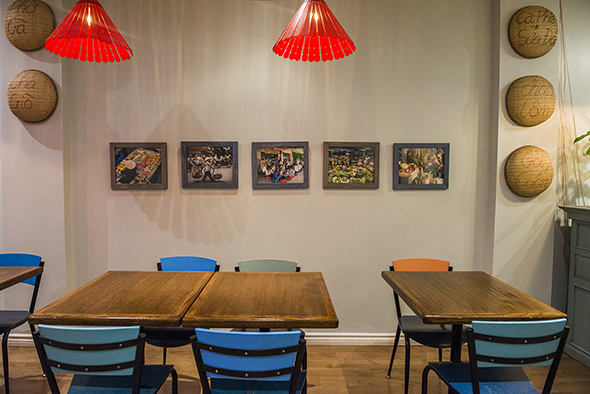 Inside, the place is outfitted with colourful decor, including framed photographs of gorgeous scenery throughout Vietnam. Also adorning the walls are woven trays and baskets with useful Vietnamese phrases written on them (the only one I know is cÃ¡m Æ¡n, or "thank you"). 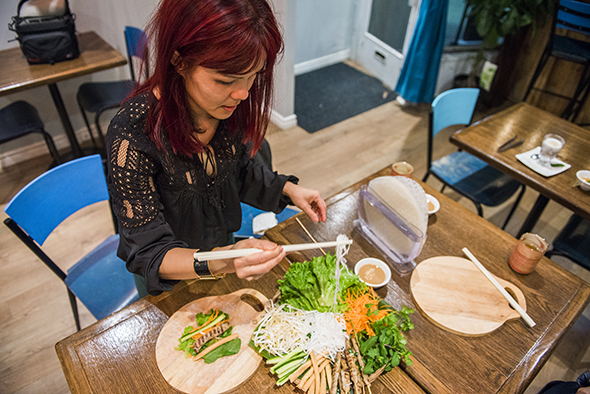 Owners Anh Nguyen - who is originally from Ho Chi Minh City (formerly Saigon) - and her partner Kwan Sit live in the area and felt the timing was right to open a place like this. 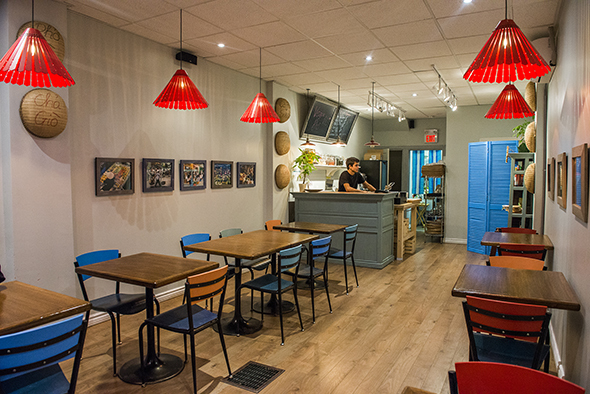 "The food scene has developed and Toronto diners are more adventurous eaters now," says Nguyen. "They're also more conscious of what they eat, moving towards less meat." She tells me the Vietnamese diet is 70% veggie, 30% meat, and that people in Vietnam eat more frequently but in smaller portions throughout the day. 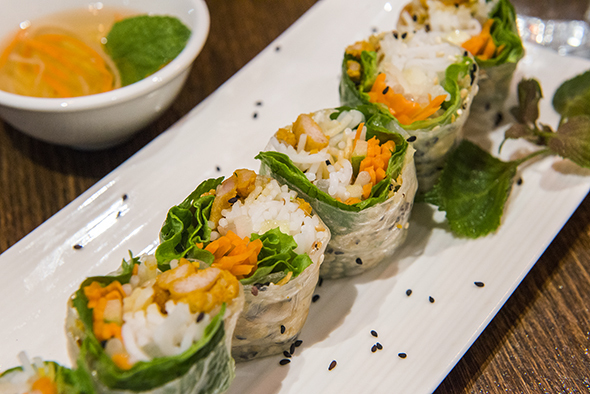 The menu here consists mostly of fresh rolls with plenty of vegetarian options, and a couple of noodle soups. Every dish is gluten-free, but some accompanying sauces are not. We start with fresh cold rolls that contain grilled chicken ($3.25 for one/$8.25 for three). They're also stuffed with shredded carrot, rice noodles, greens, cucumber and black sesame seeds, and are accompanied by fish sauce for dipping. The black sesames add a new dimension to the roll that I quite enjoy. If you're not in a rush, the RYOR (roll-your-own-rolls) platters are a fun option. Choose a protein of house-made pork skewers or tofu and then follow the adorable IKEA-like instructions provided to assemble your own rice-paper packages of deliciousness. The DIY spread is enough to make five big rolls for one person ($16) or 10 for two people ($30), which is a tad pricey, but the plus is that you can experiment with what you want to put in each roll and change them up. It could also make for an amusing activity on a date. Bun Bo Hue ($11.50), a spicy beef noodle soup that originates from the former imperial capital city called Hue, has thicker, rounder rice noodles than pho. It's served with the usual accompaniments (bean sprouts, basil, mint, chilies and lime), but this version contains hunks of tofu instead of congealed pig's blood. There are pleasant hints of lemongrass in the spicy and salty broth, but overall it could have a little more depth. 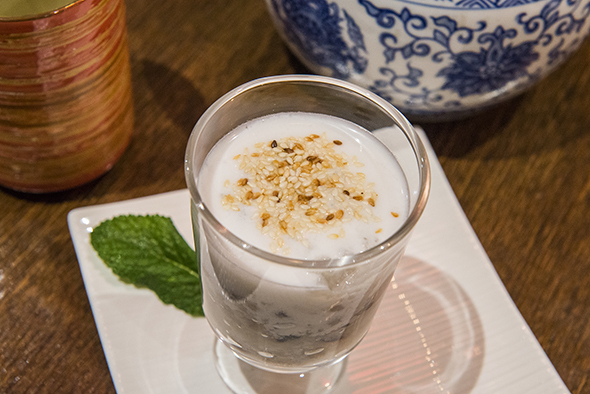 For dessert, there's Che Dau ($3.50), a pudding made with black-eyed peas mixed with glutinous rice and topped with coconut milk and toasted sesames. It's warm, comforting, and just sweet enough to have me totally addicted. 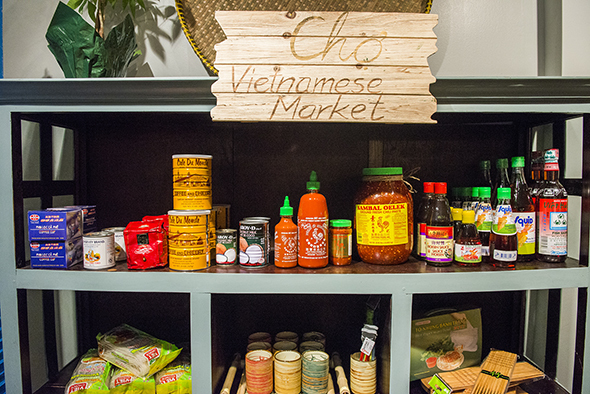 At the back, a small "market" stocks and sells staple products for making Vietnamese dishes at home (rice noodles, fish sauce, etc. ), along with tins of Cafe du Monde (New Orleans-style coffee with chicory) and condensed milk - the ingredients for Vietnamese iced coffee. 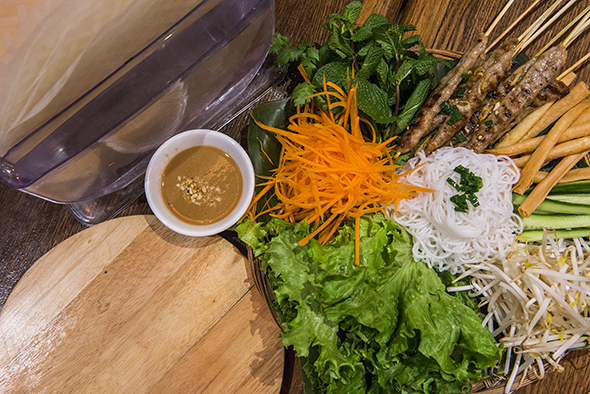 It's nice to have another Vietnamese option in this part of town, and I'd agree that Toronto is definitely ready for this.